CHRISTCHURCH: A blazing unbeaten 116 from Brendon McCullum and a cool-headed Tim Southee spurred New Zealand to a thrilling Twenty20 cricket victory over Australia in a Super Over contest in Christchurch Sunday night. Movie Review: Karthik Calling Karthik; Star cast: Farhan Akhtar, Deepika Padukone, Ram Kapoor and Vivan Bathena; Director: Vijay Lalwani; Stylish thriller with a tame end. Legs, Cleavage, Belly Button: Shilpa’s Show… Post Marriage! A show of shapely legs? No hassle! Some cleavage? No issue, if done tastefully. That, incidentally, is Shilpa Shetty’s stance, post her deluxe wedding to Raj Kundra! 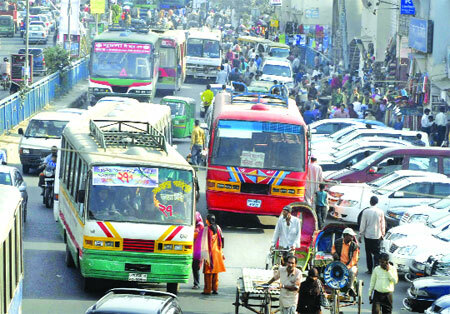 Overpopulation and mismanagement are the major reasons of the capital’s acute problems such as unplanned growth, traffic congestion, and water and gas shortage which are making Dhaka unliveable, experts and planners said, reports NewAgebd. They called for immediate action to save Dhaka, which ranks the second among the worst liveable cities of the world, according to the Liveability Survey 2010 of the Economist Intelligence Unit. Public health services across the country are being severely hampered by a staggering shortage of health professionals. According to officials from the Directorate General of Health Services (DGHS), there are currently 33,000 vacant posts, which is more than a fifth of the total workforce, reports The Daily Star. Polls in the Dhaka City Corporation will be held in the last week of May, chief election commissioner (CEC) ATM Shamsul Huda said on Friday, reports bdnews24.com. His statement came after five writ petitions filed over demarcation of DCC wards were rejected by the High Court. Presence of the increasing number of tourists with traditional and modern electronic devices are creating various problems for wildlife living and reproductive cycle in the Sundarbans, reports BSS. Access to adequate, safe and nutritious food is essential to achieve economic and social development in the country, said an expert, reports UNB. CHITTAGONG, Feb 26: Shipping Minister Shahjahan Khan here today said that process was underway to carry pilgrims from Chittagong by sea routes at an affordable cost from October 1 next, reports BSS. Residents in many areas of the Dhaka city are getting water fouled with filth and stench from the WASA supply lines for the last few weeks, making their lives miserable. Education Minister Nurul Islam Nahid yesterday said the government would consider the prospect of mobile computer laboratory on boats to introduce information and communication technology to the rural students. A delegation from Hokkaido University, Japan led by the Dean of Graduate School of Dental Medicine Dr Masamitsu Kawanami met Dhaka University vice-chancellor Professor Dr AAMS Arefin Siddique yesterday at the latter’s office of the university, says a press release. Feb 26: Rajshahi University (RU), had lost 187 academic days in the last year in various incidents specially student violence. Among the 187 days two bloody clashes between Islami Chhatra Shibir and Bangladesh Chhatra League, summer vacation and so on. 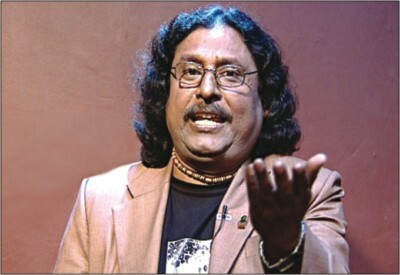 Singer Fakir Alamgir is tonight’s guest on “Basudha Tomar Jonno Amar E Gaan,” a live music programme on Rtv. The show will be aired at 11:30pm tonight. Master batsman Sachin Tendulkar became the first man to reach a double century in a one-day international as he devastated South Africa’s bowlers, hammering his 200 not out from 147 deliveries in the second ODI in Gwalior.